Sunderland Primary Schools Key Stage 2 Performance Tables 2018: How does your child’s school rank? Tables showing how well Sunderland's primary schools are performing following this year’s Key Stage 2 national curriculum tests - commonly known as SATs - have been published. According to the Department for Education (DfE), 68% of pupils on Wearside are meeting the national standard - higher than the national average of 64%.The tables show that St Joseph's Roman Catholic Voluntary Aided Primary School, in Rutland Street, Sunderland, fared best with 97% of its pupils meeting the expected standard when it comes to reading, writing and maths.Click here to see how Sunderland's primary schools performed.School Standards Minister Nick Gibb praised Bexhill Academy for how it has helped disadvantaged pupils learn the basics in primary school.Data shows disadvantaged pupils at Bexhill, in Bexhill Road, Sunderland, achieved better than average progress following this year’s Key Stage 2 national curriculum tests.Mr Gibb said: "We are determined that all children, regardless of their … [Read more...] about Sunderland Primary Schools Key Stage 2 Performance Tables 2018: How does your child’s school rank? How did your primary school perform in key stage two SATS? The percentage of pupils hitting expected standards at key stage 2 in Norfolk has increased, but the county is still below the national average. 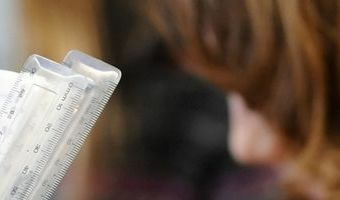 Pic: Dominic Lipinski/PA Wire Archant The percentage of 11-year-olds in Norfolk hitting expected standards in reading, writing and mathematics has increased - but the county is still lagging below the national average. Norfolk saw 59pc of year six pupils in the 432 primary schools and academies reaching the targets at the end of key stage 2 in 2017/18, up on the 57pc figure for the previous academic year.However, despite the percentage increase, like last year, Norfolk was still below the national average of 64pc.And the county did not fare as well as the neighbours in Suffolk, where 61pc of pupils reached the expected standard, up from 57pc last year.Two Norfolk schools saw every pupil meet the expected standard in reading, writing and maths - Garboldisham Church Primary School and Little Melton Primary School.While 10pc of pupils in all … [Read more...] about How did your primary school perform in key stage two SATS?